I definitely enjoyed this one much more when I was a child. As an adult, I find Pippi annoying at times. It's still a fun book, but there are other children's books I'd much rather read over again. Me and the boy just loved this. This was a reread from childhood for me, new for him. 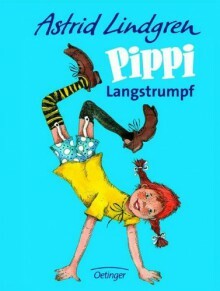 Pippi's adventures, and mistakes are just plain fun. This book gave him and memories, and time we'll spent together. What a blast. http://etrimble.booklikes.com Books for Babes 5.0 Imagination overload, in the absolute best way! text Imagination overload, in the absolute best way!